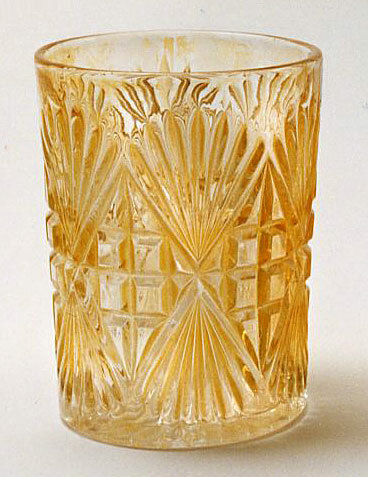 This tumbler pattern has a double-fan design separated by quartered blocks. There is a 24-point star in the base. Extremely rare, this marigold example sold in 1994 for $250 and again in 1998 for $375. In 2011, another tumbler (or perhaps the same one) sold for $200.